Most smart displays are designed to survive in a harsh world filled with filthy humans, but the MDL2416, made by Siemens, is overbuilt to ridiculous levels only needed to withstand the wrath of Enemies of the State. The MDL2416 is a military version of the venerable DL2416 smart display shown above, and is different from it's comparatively pedestrian relative in nearly every way outside of pin assignments. The MDL2416 is packaged in a very thick metal case with a hermetically sealed glass cavity lid. 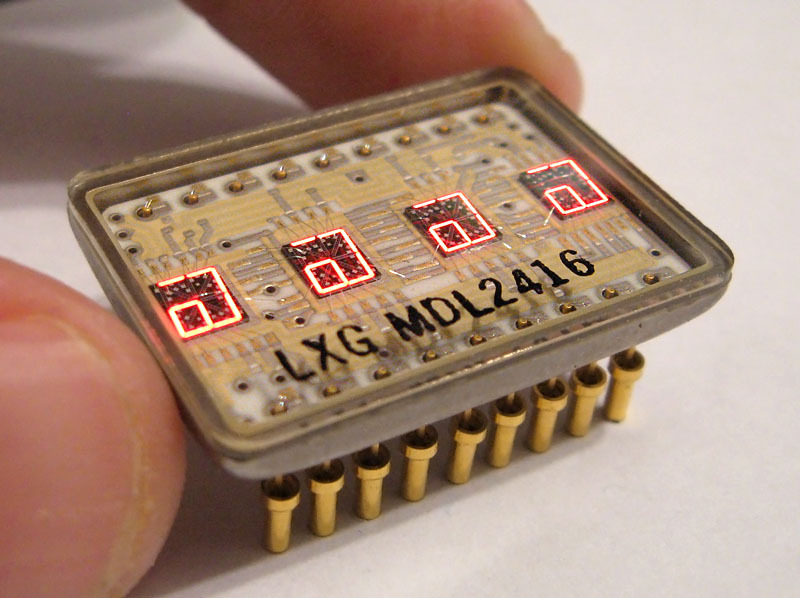 The individual LED dies are mounted to a ceramic substrate with gold leads, and the pins exit the display through glass frits to complete the seal. 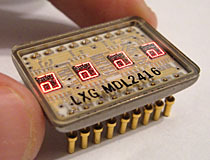 Electrically, the MDL2416 functions identically to the civilian 2416; the ASCII decoder and drivers are present and have been attached to the underside of the ceramic substrate in a special cavity provided for such. The MDL2416 may not be able to survive global thermonuclear war, but it has a much better chance of surviving the inside of an engineers pocket than lesser epoxy-clad displays. The MDL2416 is an extremely ruggedized military variant of the comparatively common 2416 alphanumeric smart display. 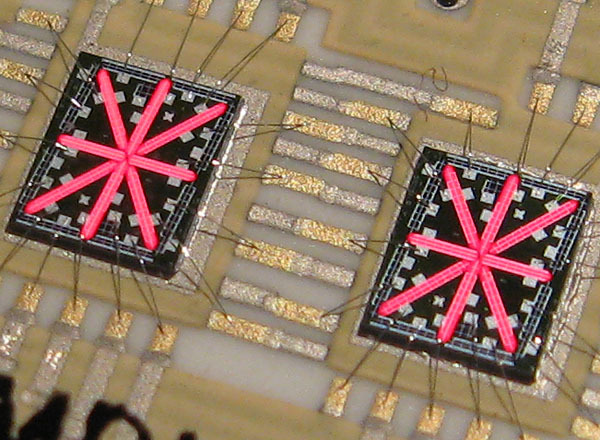 The MDL2416's dies are mounted to a ceramic and gold substrate and sealed in a thick metal and glass hermetic package.